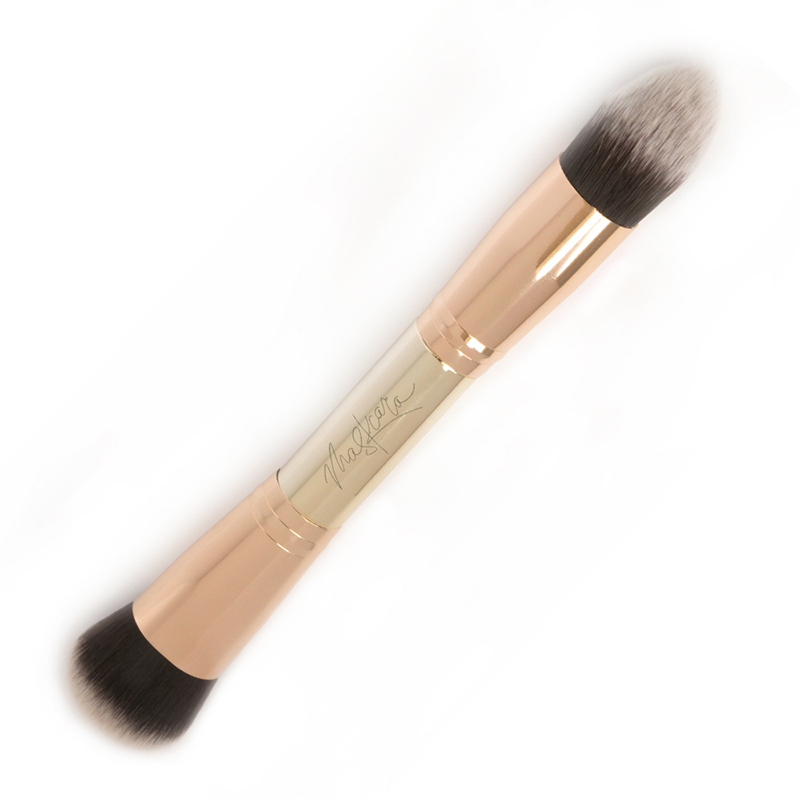 The 30 Second HAC brush is perfect for applying your highlight and contour in a flash. What it is: The 30 Second HAC brush is perfect for applying your highlight and contour in a flash. How you use it: Use the side coned to a tip for applying your highlight and use the wider side for applying your contour. Why it’s better: The HAC brush was designed for a flawless and quick IIID Foundation application. The two sides were shaped to precisely fit in the contours of the face and to smooth in your highlight. Double-ended brushes save space and the unique shape of both ends makes applying your HAC quick and seamless!